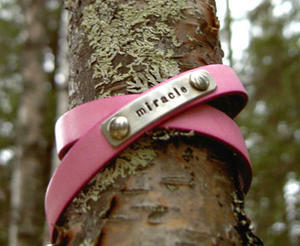 Cool leather bracelet in real leather (light pink). Wire it once or twice around your wrist. 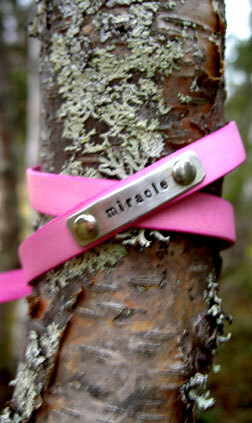 Handmade pewter tag with the word "miracle"
Below you fill in the bracelet size you want, and if you want it one or two times around your wrist. The bucket is of nickel.